WKL Roofing LLC is a family owned and operated residential and commercial roofing company. With more than 40 years of experience in the roofing industry the WKL Roofing team is committed to providing you with a quality roof install efficiently and professionally. We take care from the moment you call for an estimate through the day we finish the job to provide you with a customer experience to make you smile. You may have noticed our motto “We work for Smiles” and we do! Whether a job is for new roofs, reroofs, new construction to roof repairs, gutter or soffit and fascia we take a “no cut corners” approach. 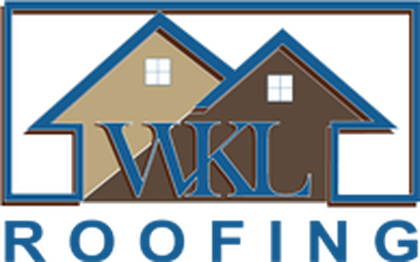 WKL Roofing LLC uses all their own crews and is state licensed and fully insured with workers compensation, general liability and full company auto insurance to protect you and your property. We are a drug-free workplace and we do regular safety meetings. Are you seeing any of these? If so, it’s time to call a roofing specialist like WKL Roofing. Call (386) 274-1001! Did you know that WKL Roofing has a dedicated Seamless Gutters Division to deliver personalized gutter services and installation? Do you see mold growing or notice black streaks? Moisture is settling into your roof and a licensed roofer can properly identify leaks before they start, repair them and clean your roof to properly maintain the lifetime of your roof. Damaged shingles? Small holes and loose nails? Gaps where shingles meet other surfaces? Maybe it’s time for repairs. Homeowners and business owners around Ormond Beach, FL have good things to say about WKL Roofing. Share your thoughts with us. Then let us do a quality inspection. All proposals are easy to read, accurate in every detail, and contain NO hidden costs or surprises. WKL Roofing is essentially a quality construction company, but our emphasis is firmly on roofing services, both residential and commercial. We’ve been impressing central Florida for many years, and are fully prepared to impress you. "It looks good. You are all very nice men. I can’t get on the roof, so I must trust you. You picked up after yourself and that's great... Left everything clean, Thank You For a good job." "You have made the appearance of my home so beautiful. The workers were polite and efficient. No debris was left around. Everything they said about roof, installation, and service was absolutely on the money." "Good workers, good supervision, left property clean, very satisfied." © 2019, WKL Roofing. All Rights Reserved.